Heroes of THE PLAYERS Championship are the phantoms of my unlived life, a life where I can swing a club with grace and power. I loved painting Jason Day, who has been a favorite forever. My husband and I saw him in person at the Travelers Tournament in Hartford where he epitomized perfected power in his musculature, rather like a super hero. 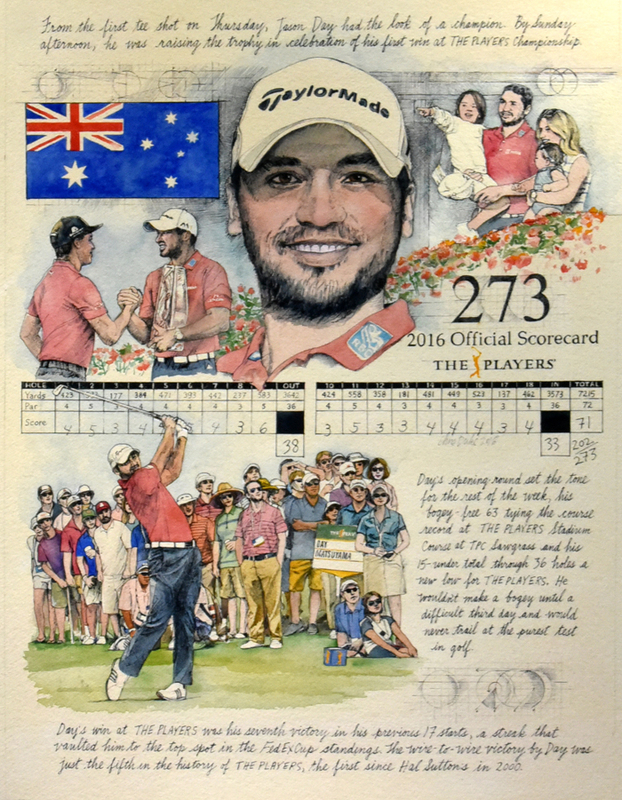 Jason Day is terrific and I was so happy to include his family in my art!